As the search for D'arby the great and secretive continues, ADAPA receives a message promptly after shouting for the secretive person! "Sheesh, keep it down! Don't you see you're being watched? -D"
With this message in mind, Sakra and ADAPA (And eventually Tank) search for followers! With their finely tuned senses, they notice strange electromagnetic pulses emanating from the back of the third floor. Somebody's broadcasting encrypted signals from here! Thus does Sakra Stealth and Investigate! And ADAPA also investigates, but without stealth! The signals clearly intensify as they go up the floors. They start picking up bits and pieces of a conversation as the signal intensity increases and they get access to more data to break decryption with. "Keep an eye on the one seating down. Be ready to leave at a moment's notice." "If you see her, do not confront. Flight is preferrable to fight in this scenario." "Backup is on the way. Stay safe, electric eye." ...The person sending out communiques is nothing like anyone were expecting! "Hi!" She says, cheerfully as you approach. "Wanna take a seat? Can I help you with something?" Thus does Sakra take a seat. And asks the question of the hour! "Do you know anything about where i can find a cake?" "... Huh? Sorry, it felt like there was something... coming from here?" ADAPA is confused by the presence of the small robot. "Oh, sorry, you heard that? I was talking with my friends." The little robot girl's eyes close upwards, allowing her to smile in spite of the lack of a mouth. "I'm not used to going out in public yet...I guess I was too loud, wasn't I?" "Oh, sorry, I didn't mean to bother you!" ADAPA is too embarrassed to suspect anything. "But really, I don't understand what I was hearing then..." he mutters in front of her. "So, do you know where I can get some delicious cake?" Sakra presses! "Just curious." "Umm...isn't it on the menu? I can look." 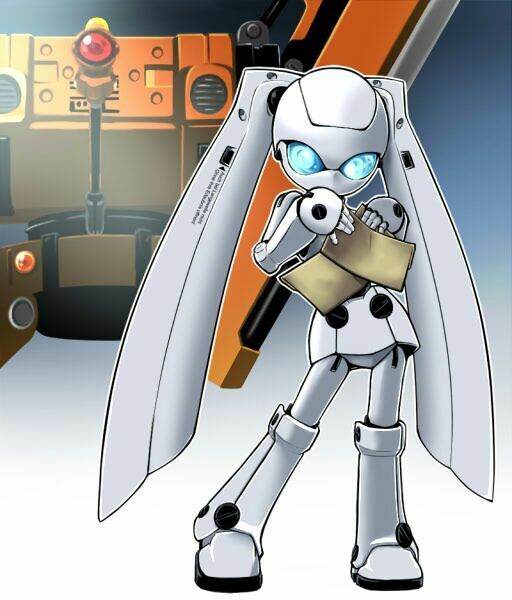 Pulling up a holographic menu, the robot girl begins scanning the menu, her face locked into a look of utmost concentration. As she does so, the still-broadcasted comm signal grows much fainter. "There! It says they've got a cake selection here! Look! Look!" She says, pointing excitedly at the menu. "Oh, fantastic! Do you want to share a selection of cakes?" "Cake??? Was that what I was doing here?" ADAPA, endlessly confused. The robot girl gasps. "You'd share with me? You're the best!" She holds your hand for a moment, and then remembers something. "Umm...what's your name, miss?" She asks, sheepishly. "I'm AEA! It's nice to meet you!" AEA smiles, then turns to look at ADAPA. "It's nice to meet you, too. What's your name?" "Hey, it's nice to meet you too, AEA. I'm ADAPA!" ADAPA is just happy to talk to someone nice now and is no longer thinking about finding Darzi. THIS TIME, ON LIMIT ZERO! MEET THE ROBUTT! As Sakra and AEA eat their cakes (ADAPA still sitting on the side confused by his budding roboner), Sakra presses a bit for more information. "Who're these friends you were talking to?" In response to Sakra's question, AEA tilts her head and thinks about it for a moment. "Let's see...there's Minder and Watcher and Hunter...and sometimes that weird AI voice...what's its name...Auzer...Augur...Ashur? Yeah! That's right! Ashur! That's the name!" Sakra replies "Those are some interesting names." "Mhm!" AEA says, nodding enthusiastically. "They're nothing like most people's names! I think they're codenames," she says, leaning forward to whisper confidentially. "Hmm. What were you all talking about?" "Minder said to keep an eye on you guys. I'm doing that right now!" She says, making a circle with her fingers over one eye. "Watcher said he was trying to keep tabs on you, and Hunter said he had a biiiiiig surprise ready for you! Mr. Ashur doesn't talk much. All he said was to tell you this:" she looks around for a moment, making sure nobody's eavesdropping, then speaks in a hushed tone. "'You're being played for fools. Keep your eyes open.'" "I feel like those names and jobs seem scrambled. Maybe they aren't code names." ADAPA comes back over and urges Sakra to scoot over if she hadn't already. Then he sits down to look at AEA face to face. "Really now? And how did you meet these friends of yours?" "I...haven't." AEA says, shaking her head. "I just woke up all alone and started hearing them talk through a comm line. They told me who I was and said I had a job to do. It's why I'm here." She looks a little sad about this. "I wonder what they are like..."
"Yeah!" She says, perking up immediately. "Mr. Ashur and Mr. Hunter are kind of distant, but Minder and Watcher are very nice people! They're always asking me how I feel about things and what I think." "Oh. I'm sorry, I didn't realize how young you really were! You've really just woken up that recently? And they just sent you out like that? That seems a little unfair..." ADAPA is happy to be the older one. "Huh? Is it a bad thing, ADAPA?" she asks, curious. "It doesn't seem that hard to me..."
"It's a matter of opinion, I suppose. ", Sakra replies. "I don't suppose we could talk to your friends? It'd be nice to meet them." "I'll ask and see what they think. Gimme a moment!" Closing her eyes, AEA puts her hands to the sides of her head and concentrates. "What? But...OK." Opening her eyes, AEA shakes her head. "Minder says he wants to meet you all at a place called the Testing Grounds. He says that if you can clear a challenge there, he'll tell you what you need to know." "... works for me. Want to come along?" Sakra asks her. "Umm...sure! Is ADAPA coming too?" She says, looking at the robot boy with big, expectant eyes. "I'd like to come to. This Minder fellow seems really interested in what we're doing, so I'd like to learn a little more about this too." ADAPA interjects. "Yay! Come on, let's go! Let's go find the testing grounds!" Pushing herself up and off her seat, she takes ADAPA's and Sakra's hands, brimming with energy and ready to take off.